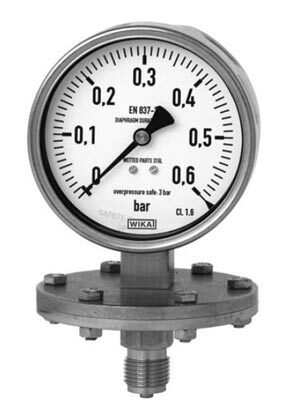 Diaphragm Pressure Gauges can be availed from us with wide choice of special materials. Our Diaphragm Pressure Gauges are compatible with all alarm contacts, and have a stainless steel construction. Widely used in several process industries such as chemical, petro-chemical, power stations, mining, and plant construction, these Diaphragm Pressure Gauges are available in suitable packaging.